at the University of Freiburg i.Br., Germany. application of functionals, and the treatment of non-equilibrium dynamics. The scope of the DFT Spring School 2019 is to give a detailed introduction into the general framework and structure of DFT, the construction and application of functionals, and the treatment of non-equilibrium dynamics. The school will bring together young scientists interested in or already working on classical DFT, as well as to train the usage and technical application of the framework. The school consists both of lectures and tutorial sessions, where the participants are able to obtain hands-on experience. The final day of the School has a poster session providing the possibility for all attendees to present their own work and advertise their poster in a flash talk session. In addition there will be three invited talks on current research topics. Parts of the school will be open for the public (the lectures and the conference part on Thursday, including poster session and research talks). This will allow local students and people interested in the topic to attend the lectures and the conference presentations on the last day. Attendance of the DFT Spring School will be free of fees. Each attendee has to organize and pay for her/his own accommodation and travel. A list of suitable accommodations will be provided and we will facilitate the exchange of contact data between those confirmed attendees, who wish to jointly organize their travel and accommodation. The total number of attendees for tutorial sessions and for the social program is limited. A confirmation email of attendance will be sent closely after the registration deadline. Due to limited spaces, registration is only possible by invitation. If you have received an invitation and wish to register send an email to dft-school@physik.uni-freiburg.de before the registration deadline. Please specify for each registration whether a poster will be presented or not. By registering to the Spring School each attendee agrees that the organizers store their contact information data relevant for the organization of the school. If not mentioned otherwise, they also agree that their name and affiliation is published in a summary of the school and that pictures taken during the school by the organizers are used for a summary. The deadline for registration is December 20th, 2018. The deadline for the poster titles is February 15th, 2019. 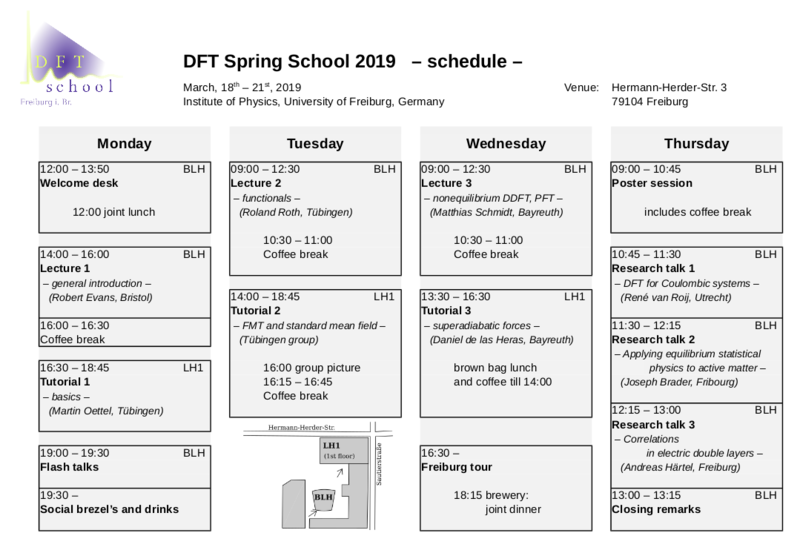 We are looking forward to welcoming all attendees of the DFT Spring School 2019 in Freiburg. 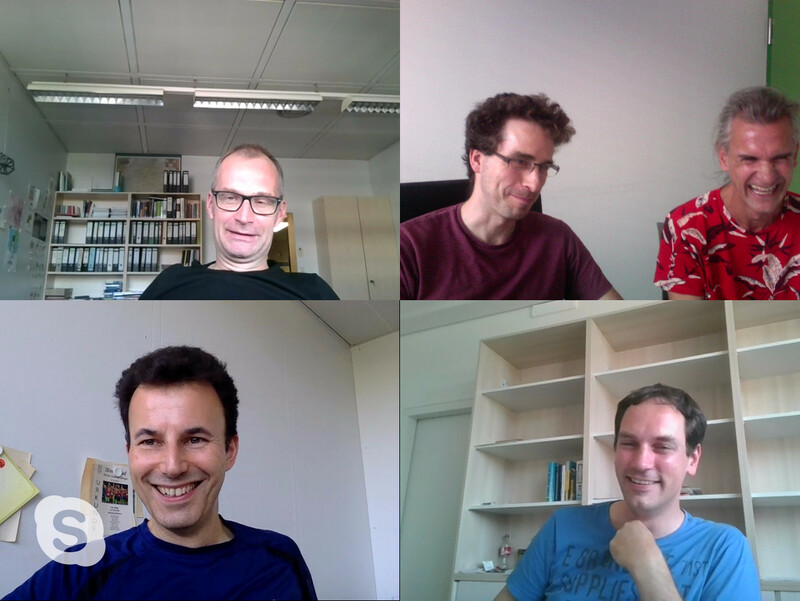 M. Oettel, D. de las Heras and M. Schmidt, R. Roth, A. Härtel.